There is plenty to do in these two popular chowks. They boast of trendy cafes, multi-cuisine restaurants, garment shops, souvenir and accessories outlets and even a Tibetan market! Buy shawls made of yak wool at Gandhi Chowk. Do not forget to bargain. Mongas Café serves delectable snacks in Gandhi Chowk, along with bakery items and delightful ginger honey tea. Kwality Restaurant is probably the most popular restaurant in Dalhousie (located in Gandhi Chowk). It is one of the oldest places of town and offers Italian, Continental and Chinese items apart from Indian cuisine. Sher-e-Punjab is a cosy multi-cuisine restaurant in Subhash Chowk. 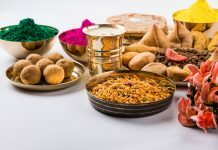 They serve delicious North Indian affair. Try the Peanut Chikki smeared with jaggery, available in packets at many retail shops. It is warm, sweet and extremely tasty. Also, visit St. Francis Church in Subhash Chowk – the largest church in the town. 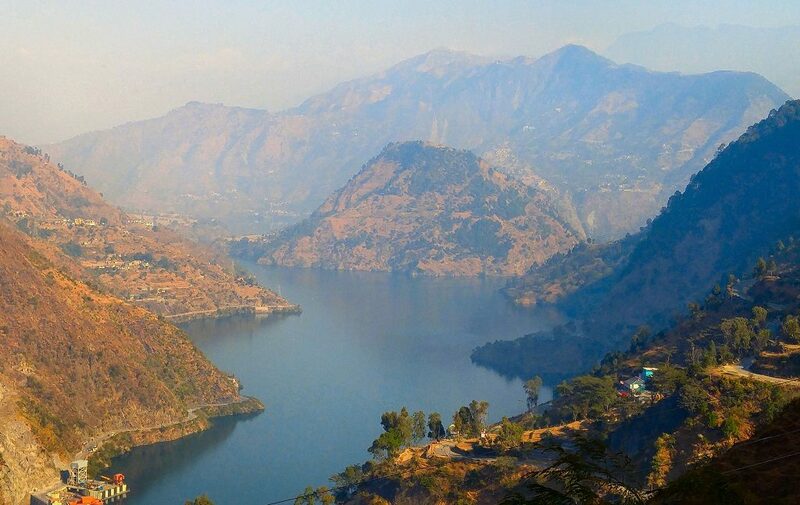 Located at an hour’s drive from Dalhousie, Chamera Lake is a man-made reservoir due to the construction of the Chamera Dam on Ravi River. The water body amidst towering mountains offers scenic views. A popular spot for boating, it attracts a decent number of visitors. The road approaching the dam runs aside the reservoir making the drive pleasant. Overlooking the eastern part of the reservoir is the sacred Bhalei Mata temple on a hilltop at a height of 3800 ft. above sea level. 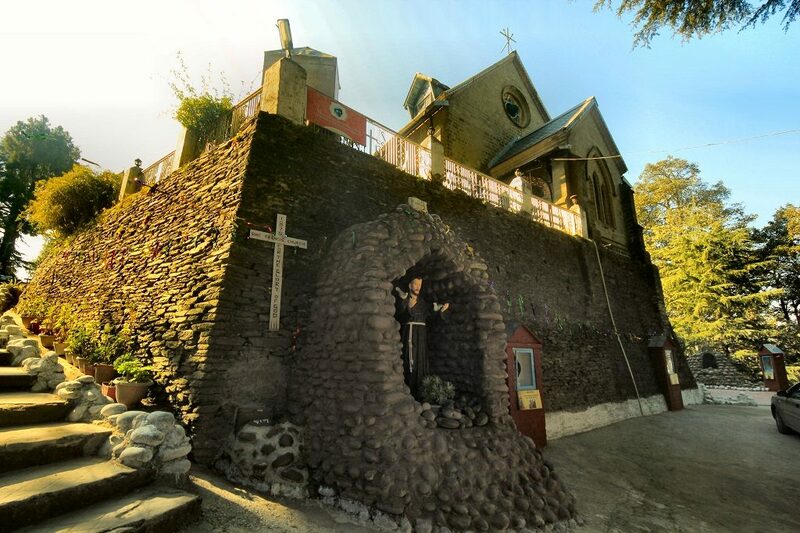 It is believed to be more than 400 years old, though the renovated structures do not really show this. 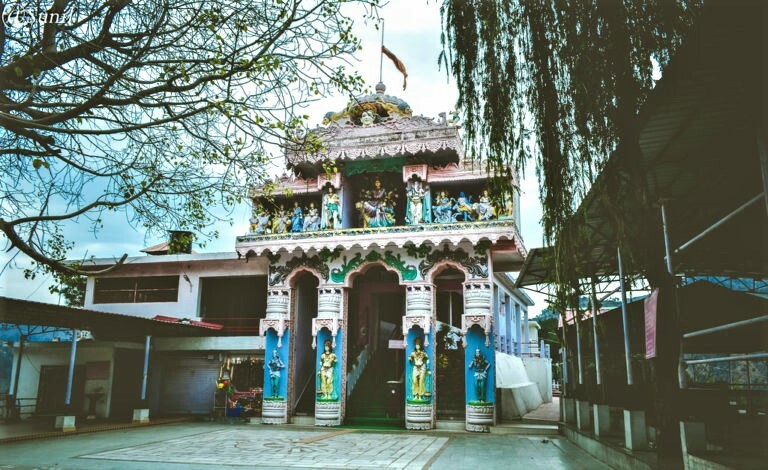 The temple is dedicated to the Hindu Goddess Bhadra, and can be approached either from Chamba or from Dalhousie. Lakhs of pilgrims throng to this temple during Navaratras. The place provides breathtaking views of the reservoirs and the adjoining hill scape. 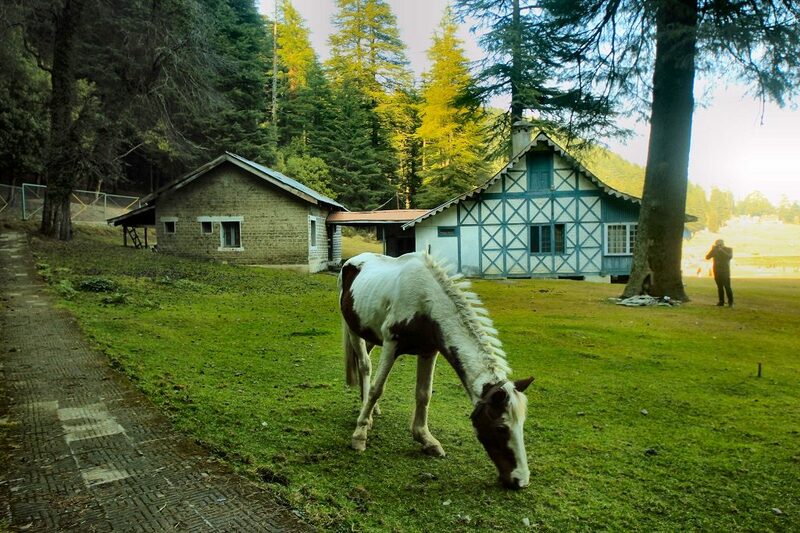 Khajjiar is arguably one of the best meadows in India. At a height of 6500 ft. it is one of just 160 places in tropical countries, that bears resemblance to Switzerland. 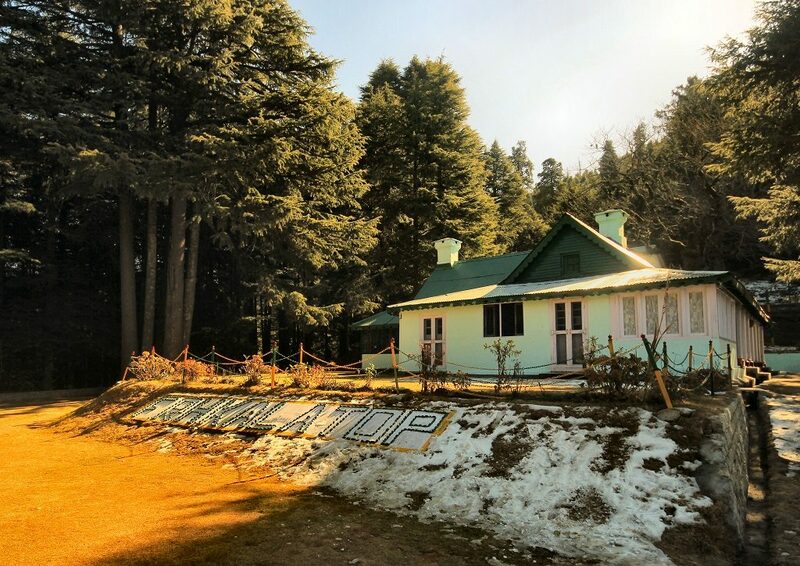 An hour’s drive from Dalhousie, it is surrounded by dense deodars and pines and is usually flocked by innumerable tourists, horse ride hawkers, rabbit posers (who ask for money in exchange of a photograph with a rabbit), food peddlers, photographers, paragliding guides and much more. The southern and eastern ends of the expansive pasture are relatively calmer with several pathways to explore the picturesque place. The road from Khajjiar to Kalatop is very scenic during winters. Sheets of snow cover the sloping hill sides as the road meanders through the lush green vegetation. Lakkarmandi is the base of Kalatop Hill. Vehicles require a permit to enter. It is a reserved forest spread over an area of 18 sq.km. 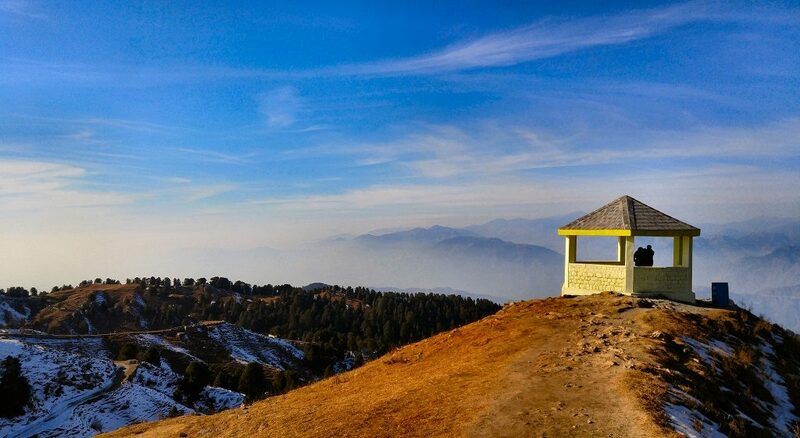 Characterized by dense coverage of oak, deodar, pines and coniferous trees, the highest point of the hill offers spectacular views of the Dhauladhar range. Apart from the Himalayan Black Bear, other sighted species are Himalayan Black Marten, Himalayan Serow, Leopard Cat, Indian Langur, Barking Deer, Pheasants and even giant Flying Squirrels. A forest rest house, built in 1925, is surrounded by gardens and flower beds and is the only accommodation option available in Kalatop. Bollywood has filmed lots of movies in this serene place. The place also offers several trekking opportunities. The most popular ones being a 3 km trek from Lakkarmandi to the highest point of Kalaptop and an 11 km trek option to Khajjiar from Kalatop. Further up from Kalatop is the 9000 ft. high Dainkund hill top. 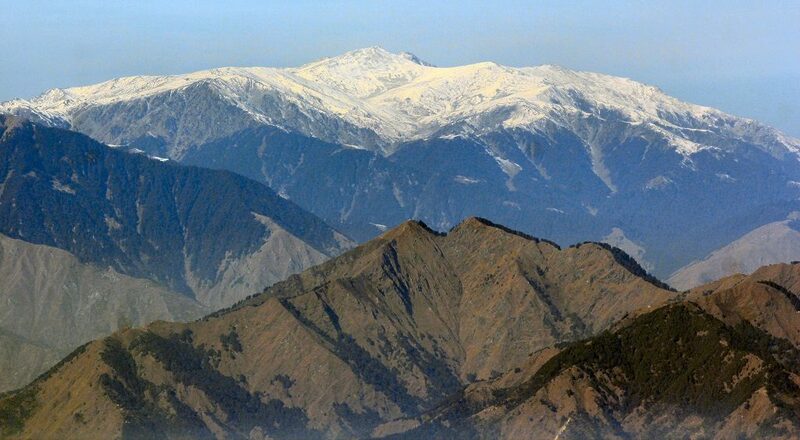 Sitting adjacent to an army cantonment, the place offers a 360-degree vista of the majestic Dhauladhar range. A narrow cemented path leads to the top of the hill. It is a long vertiginous climb of more than 400 stairs through a path of narrow stone slabs. 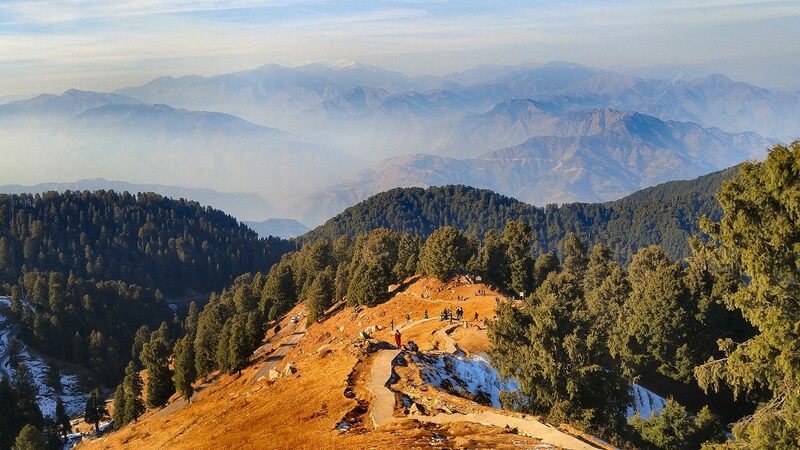 The arduous climb to the highest peak in Dalhousie during winters is even more rewarding with adjoining valleys and mountains covered in a dazzling white cloak of snow.